The Outrigger Konotta Maldives Resort has announced a thoughtful and varied programme of activities for families looking for a fantastic beach holiday in the tropics this Easter. 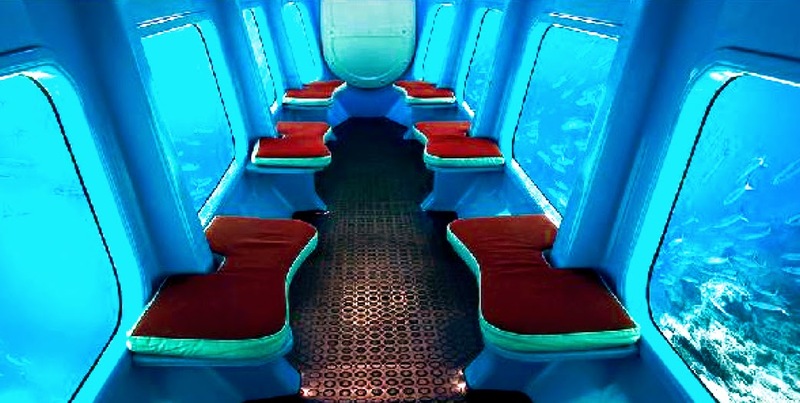 The Outrigger in the Maldives has also introduced a new semi-submarine for underwater viewing. The staff have also created an ‘OZONE’ (Outrigger’s zone) marine education space from recycled materials under supervision of the resort’s full-time marine biologist. “This Easter the Outrigger is a one-stop retreat for tropical holiday beach relaxation with an optional marine education twist,” says the resort’s General Manager John Allanson. The Outrigger has hatched an egg-selent Easter programme of activities 14-17 April. The activities have been designed to satisfy adults, teens and kids alike. The resort’s Coral Kids Club will invite youngsters to partake in Easter face painting, egg hunts, egg and spoon races, banana boat rides, Easter egg decoration, and kids’ movies on the beach. Adults can chill and do sweet nothing or get in the Easter spirit with body and soul activities such as morning meditation or yoga, couples massage workshop, dolphin quest, sunrise or sunset fishing, Asian food festival on the beach, sunset cruises, and marine education talks at the pool bar with the resort’s marine biologist. Teens may also like activities such as discover scuba diving, beat the management at foosball, try the stand-up board balance challenge, or join water polo with guests and staff. And there is great food from executive chef Christopher Long and his kitchen, including an Asian food festival on the beach, a surf and turf BBQ and an introduction to Japanese food at Nala Rah with chef Endar. There’s also a full list of ‘out of the ordinary stuff’ such as local island excursions, equator cruises, surfing, renewal of vows, a castaway island experience and more. For a full list of activities click here. For more information or to book contact your tour operator or the resort. Tel: +960 684 7770. Email: [email protected]. The Outrigger Konotta Maldives Resort has introduced a 14-seat semi-submarine for viewing coral reefs and spotting local marine life such as manta rays, Hawksbill turtles, large shoals of fusiliers and the occasional friendly shark. The daylight tour explores the beautiful house reef of Konotta. During the night tour fishes camouflage themselves reducing the brightness of their colour, assuming the hues of the barrier reef. With the semi-submarine’s fluo-light guests have the possibility to observe sea creatures usually invisible to the naked eye. Once back to the reef, schools of fish attracted by the night lights will surround the vessel: fusiliers, sometimes sharks or even some squid can be seen. The semi-submarine makes its local excursions at the Outrigger at Konotta every Sunday, Tuesday, Thursday and Friday and costs USD95++ for the day time trip & USD110++ for the night trip. Outrigger Resorts has a global marine conservation programme called OZONE (Outrigger’s zone). 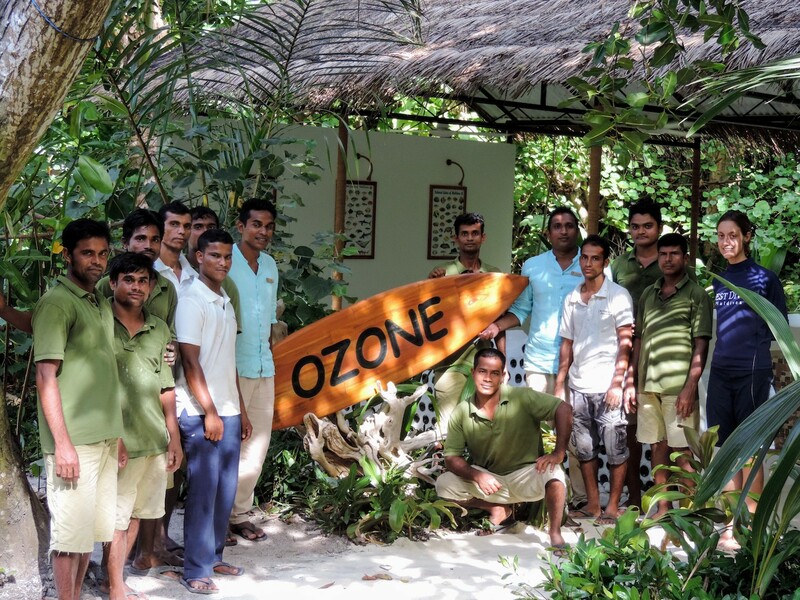 Inspired by the initiative, staff at the Outrigger Konotta Maldives Resort have created The OZONE Hut, an educational workspace to organise environmental campaigns and give presentations about the importance of preserving the underwater habitat of the Indian Ocean. 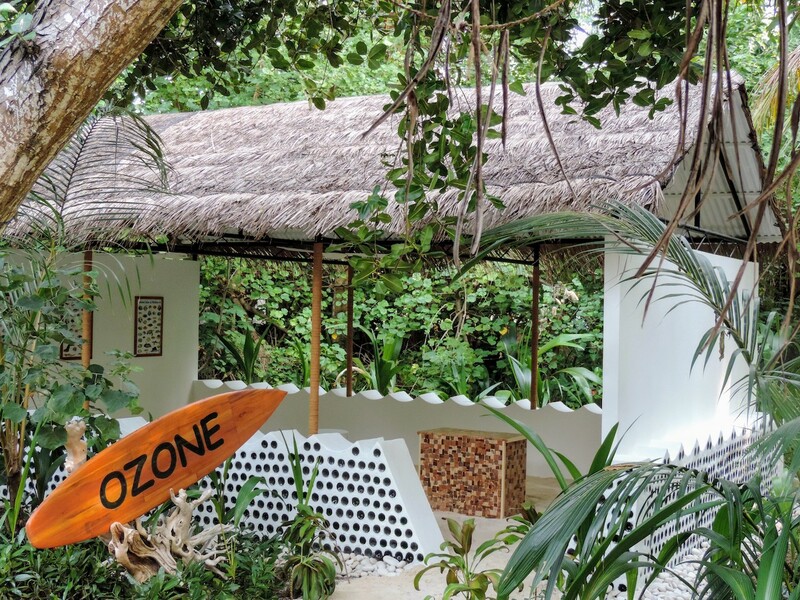 The OZONE Hut was built by the resort’s hosts in their spare time using recycled items such as used plywood, dried thatch from palm trees and old glass bottles. There are displays on the wall of different kinds of marine life. “It’s a home-grown initiative to boost understanding and spread appreciation for the beauty of the underwater world of the Maldives,” says Caterina Fattori, the marine biologist of Best Dives Maldives who is based full-time on the island. The new OZONE Hut will be used for talks and presentations to guests interested in the marine ecology of the Maldives. For further information about the Outrigger Konotta Maldives Resort tel: +960 684 7770. Email: [email protected] Or click here.